Summer arrives tomorrow Saturday June 21st at 6:51 am. EDT. After the snowy winter and the wet spring that has enveloped the northeastern part of the US, I am crossing my fingers that summer will actually descend upon us. With that thought in mind, summer brings to mind ice cream. I remember piling into the station wagon with my siblings and driving to the ice cream shack near the airport. After getting our cones, the entire family would sit and watch the airplanes land. As children we looked forward to this weekly event. To this day, when I drive by the airport, fond memories come flooding back, and there are still designated parking areas to watch the planes. 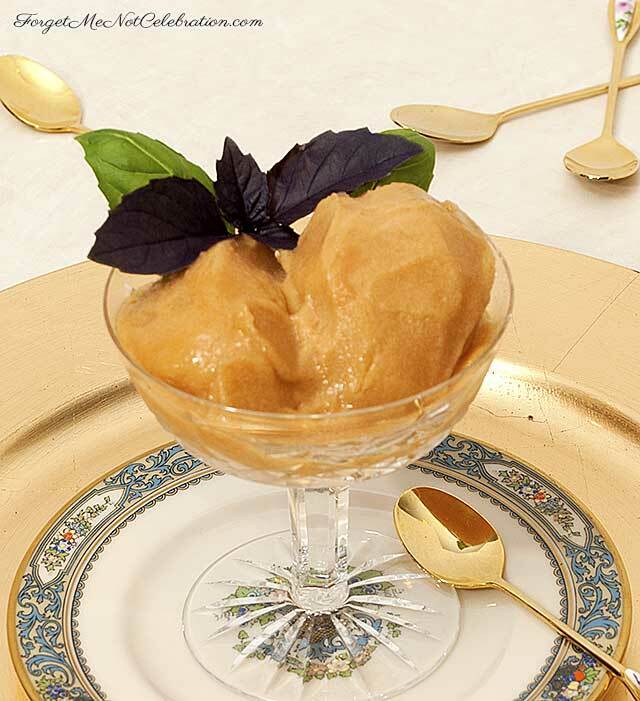 This peach-basil sorbet, from Cooking Light, combines two of my favorite flavors. 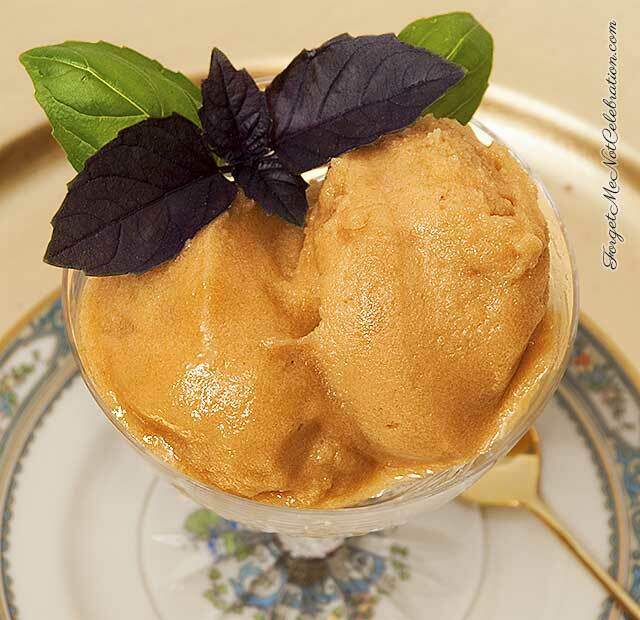 When your family and friends take a taste of this sorbet, they will ask, “What is that flavor mixed with the peaches?” The basil is subtle and so delicious. The texture is definitely velvety. I think this will become a real summertime favorite. For the ingredients and the recipe go here.